Okay Google, what is voice search? By now you’ve experienced voice search in some kind of capacity. This is because voice search signifies the next phase of our increasingly digital habits of communicating and building relationships. It’s also playing a huge role for companies both big and small. This is because voice search has evolved into asking home speakers for service such as nearby restaurant recommendations, or where their local shopping center is. Voice search can also provide details about your company if someone asks. If it seems like robots are taking over the world, it’s because they nearly are. 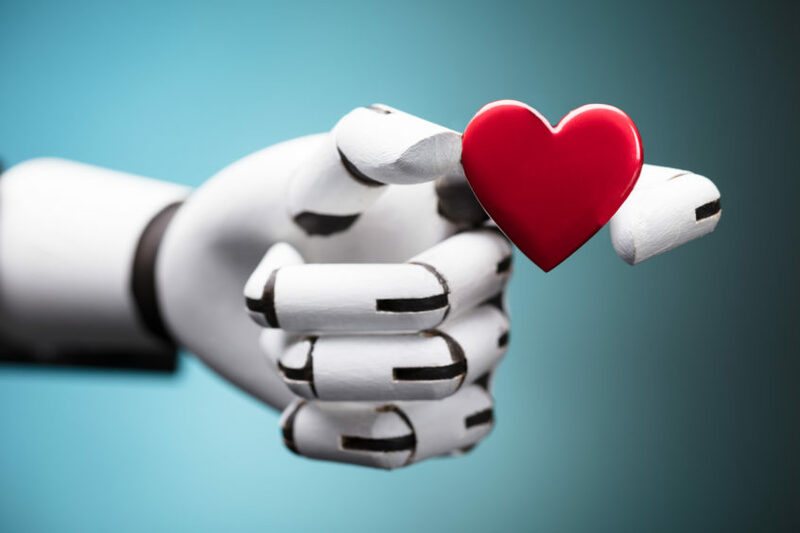 Things like AI-intelligence and voice search have come increasingly popular because of their ability to respond. They almost always get back to us, and when they do, it’s typically in a way that was designed to be helpful. Voice search is also getting bigger. 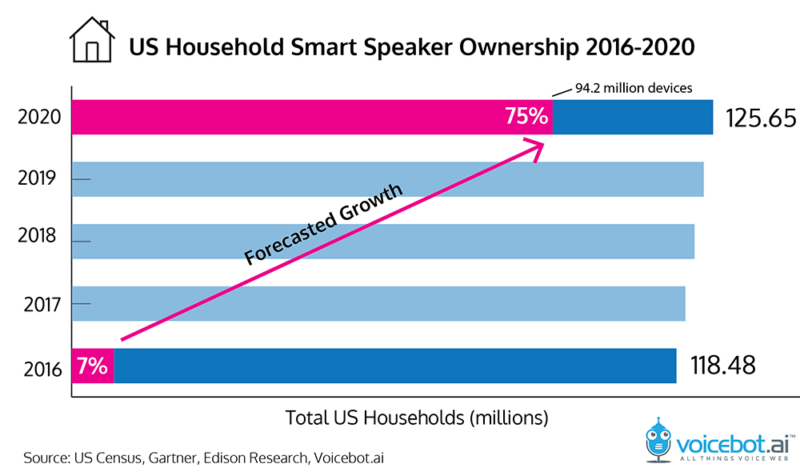 With a forecast of 75% of US homes having a smart speaker by 2020. Users are also using voice search in more than just their homes. 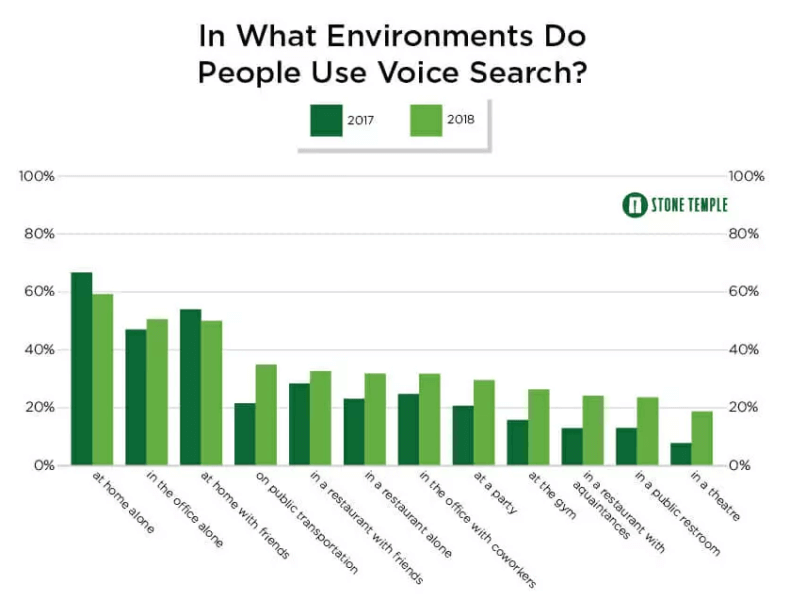 And with just a year difference we are seeing users use voice search more outside of their homes, and with other people. This leaves a lot of business owners wondering if they have any control over voice search. And while voice search is fairly new and still growing, you can take progressive steps forward to make sure you’re creating the right content to go with voice search. The average answers are typically 29 words, so when you’re formatting your page make sure to keep it short and sweet so your answer can be easily drawn from it and understood to be a complete answer to the question. The average writing level of a result was targeted to the ninth-grade reading level and the average word count of pages used to draw voice results is averaged at 2,312 words. This suggests Google wants to draw results from authoritative pages. Don’t bog down your web pages with 2,312 words in hopes that your site is pulled up for a voice search. If your website has filler words and keyword stuffing, Google will penalize your site causing it to rank lower in voice search. Instead, make simple, easily read content on your website that is pleasing to both Google and users to create a great user experience. The higher your Google ranking, the better bet you have of reaching voice search users. While voice search is changing how consumers learn about your brand, it’s not the endgame of customer service. Information gathered through voice-based inquiries are impacting users’ purchase decisions, even if they don’t ultimately use their device to make a shopping transaction. Businesses must be ready to pick up the conversation where voice assistants leave off. There’s a 33% increase in calls to companies since voice search. Consumers are looking for a seamless experience when shopping online. These calls convert at 10 to 15 times the rate of web clicks. The calls that do come from voice search and social media last longer than those from any other source, at an average of 7 minutes. That is nearly a minute and a half longer than any other channel. Longer calls are generally a marker for a valuable call. So, while voice search is helping companies receive more calls, it’s up to the business owners to keep the ball rolling and follow up on all leads and make sure their information is on par with that on their website. The steps between voice search and phone calls need to be seamless. The reason why users are going to voice search is that there’s a higher possibility of receiving an answer. Don’t take too long to get back to customers. Instead, make sure you are checking and answering your phones throughout the day. While voice search gives you higher conversion, those leads are easily lost if not responded to in less than 24 hours. We live in a world where people want instant satisfaction all the time. Voice search does a good job of providing that, and we as business owners need to also do our part to live up to consumers demands.